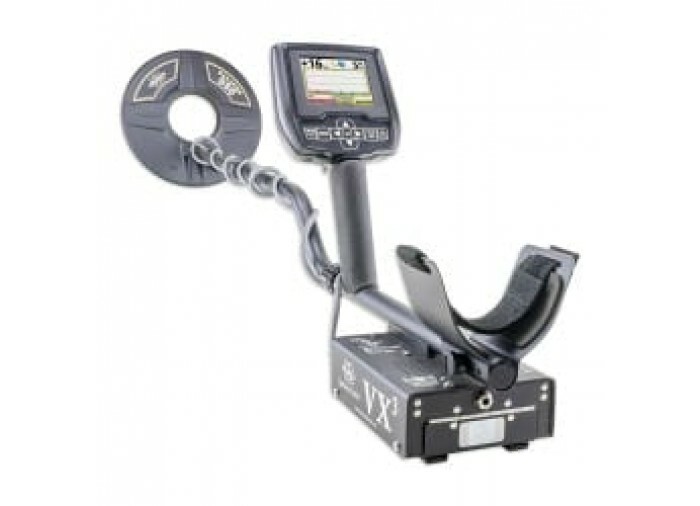 The White's VX3 combines the premier performance of the Spectra V3i with the turn-on-and-go simplicity of the Coinmaster line of metal detector. 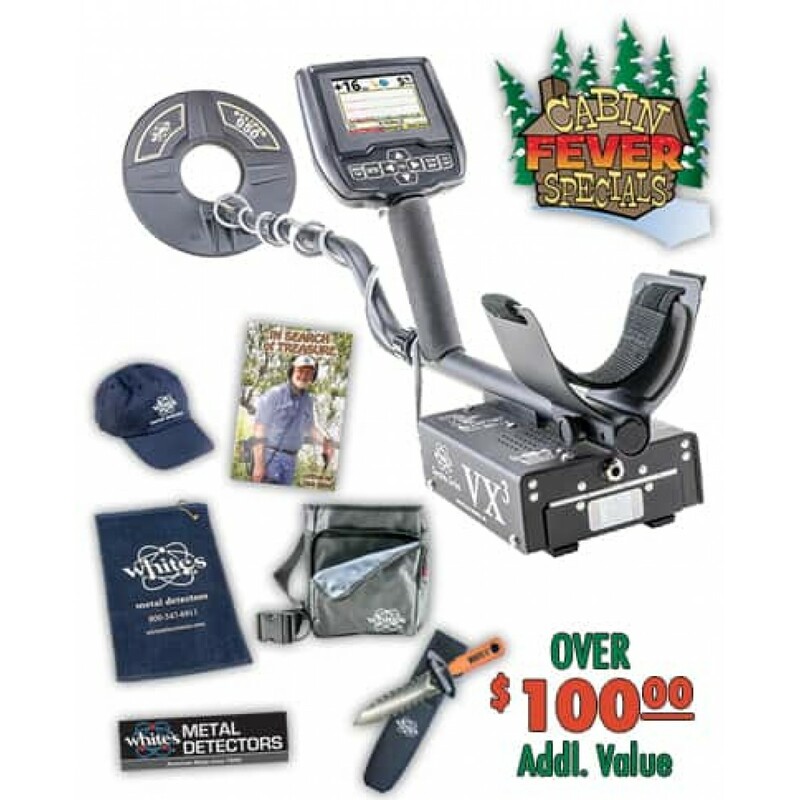 This Cabin Fever Kit includes over $100 in FREE accessories thru May 31. DigMaster, Signature Hunting Pouch, Towel, In Search of Treasure Book, Baseball Cap and Bumper Sticker. 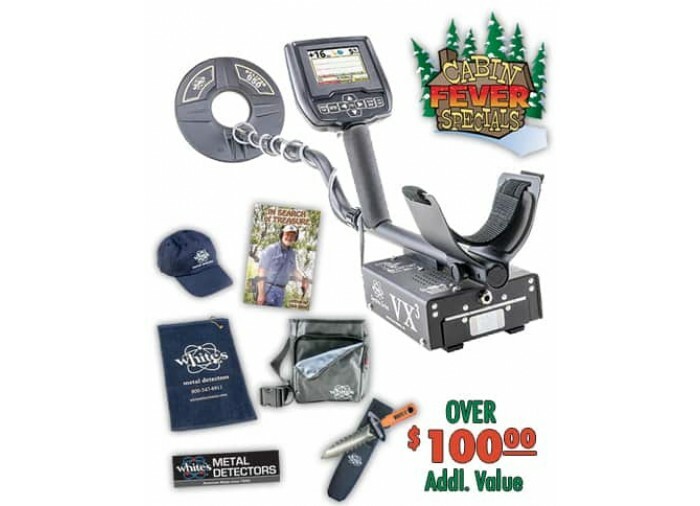 This Cabin Fever Kit includes over $100 in FREE accessories thru May 31. DigMaster, Signature Hunting Pouch, Towel, In Search of Treasure Book, Baseball Cap and Bumper Sticker. 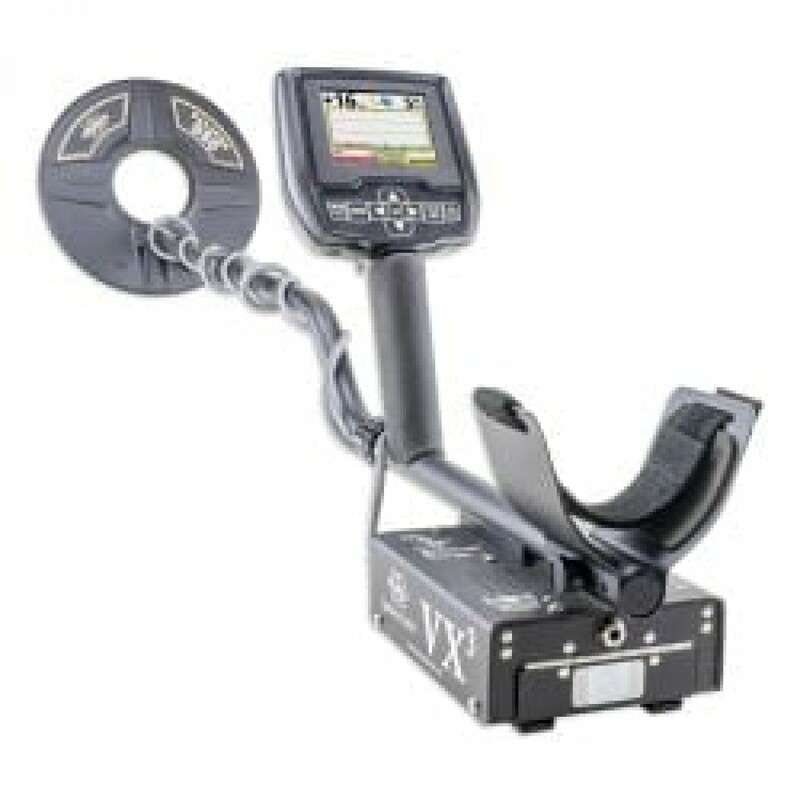 The White's VX3 combines the premier performance of the Spectra V3i with the turn-on-and-go simplicity of the Coinmaster line of metal detector. 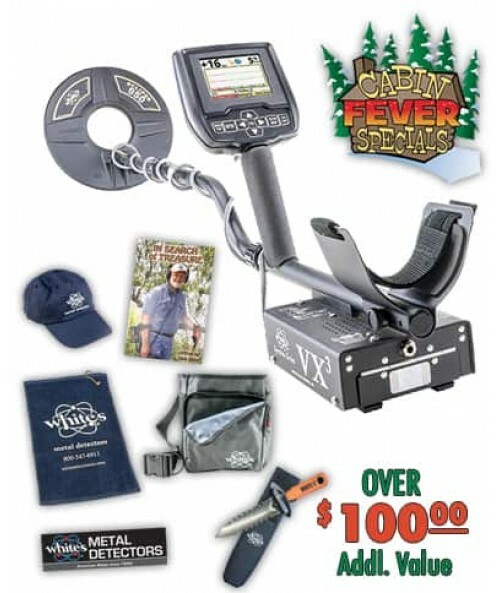 This top-of-the-line metal detector is as easy to use as an ATM with 8 preset hunting programs. You'll be ready to discover coins, jewelry, gold, silver, and relics. Take it to the shore with a specialized beach mode. When you come across a target, the SpectraGraph Target Signature shows on the VX3?s high-resolution color display, helping you decide whether the find is worth digging up. The VX3 is ready to use with White's SpectraSound wireless headphones. For traditional audio identification, choose from four modes of discrimination and optional tone ID with 191 different sounds. There are essential settings for you to optionally adjust, but the Spectra VX3 is all about making treasure finding easy for every hunter detecting targets with performance worthy of the Spectra name.